1. Sub-Zero has proven himself as a bet-the-ranch calving ease sire, ranking him among the breeds elite. 2. He is long necked, sleek fronted,deep flanked with one of the soundest set of feet in our lineup. 3. 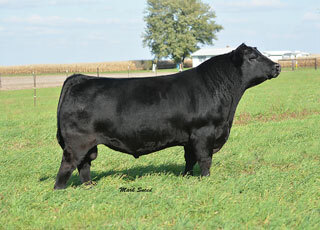 He a wide based thick calving ease sire that has been used successfully in the commercial and purebred herds.